In previous reflections, we have discussed the gifts and the preparation of the gifts that have been brought to the priest during the offertory. These gifts are placed on the altar. During every Mass; however, there are also other significant items on the altar. These items are called sacred vessels as are they are used in liturgical celebrations to hold the consecrated Body and Blood of Christ. The sacred vessels are to be treated with special care and reverence. 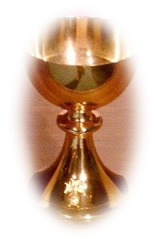 The sacred vessels are the chalice, paten, and ciborium. The chalice is the ‘cup’ that holds the Blood of Christ when the wine is consecrated at Mass. 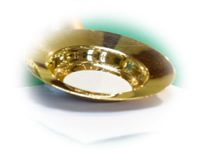 The paten is like a ‘plate’ and is what the hosts for communion are placed on. It is a sacred vessel as it holds the Body of Christ once the words of consecration are said by the priest at Mass. 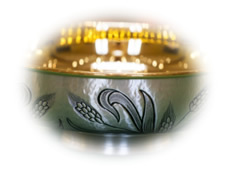 The ciborium is a ‘bowl,’ sometimes with a cover, used to hold the Hosts which will be used for The ciborium is also used to hold the Body of Christ when it is placed in the tabernacle. These sacred vessels are on the altar during the Eucharistic Prayer and can easily be seen during the Mass. In the next newsletter, some information will be included about some other items that are on the altar during the Eucharistic Prayer. ciborium and observe who places the ciborium in the tabernacle after communion. Can you see what the chalice, the paten and the ciborium are made of? They are often made of very precious metals or something significant to an area eg. the sacred vessels may be made of marble to signify that they are special. Since Ash Wednesday (6 March) all classes have highlighted the work of Project Compassion and have chosen a project to support during Lent. It has been amazing to see both the compassion and generosity of the children and their families and the willingness of the children to give without receiving. This week the focus for Project Compassion is in Indonesia. 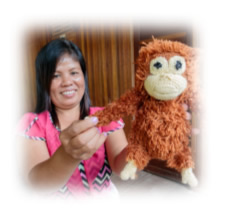 An example of the help provided through Project Compassion is Tati, a mother of three, who was earning an income working in a local rubber plantation. Since has taken part in eco-tourism training with Project Compassion (Caritas) and can now afford to send her children to school. With new hope and commitment, Tati aspires to a future free from poverty for her family. Next week the focus is on the Solomon Islands and the story of Peter who is thrilled to now have clean water on tap at his boarding school. 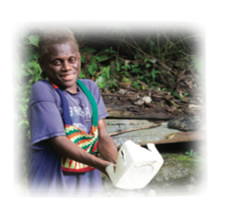 Long walks to unsafe water sources were tiring for Peter, who is living with a disability. With more free time and fewer illnesses caused by dirty water, Peter can fulfil his hope of focusing on his studies, providing him with a brighter future. As a school, we have been supporting some of these projects and other projects in Australia, Vietnam, Zimbabwe and Bangladesh. Lent is also a time to reflect and to grow. We might use some of the ideas from the Lenten calendar to focus our prayers and actions. Thursday Spend some time thinking about the good choices you have made today. The enrolment form submission for Confirmation is now overdue. Please complete and return your child’s enrolment form along with the necessary attachments as soon as possible. Confirmation Saint & Sponsor Slip must be returned on or before Wednesday 3 April. 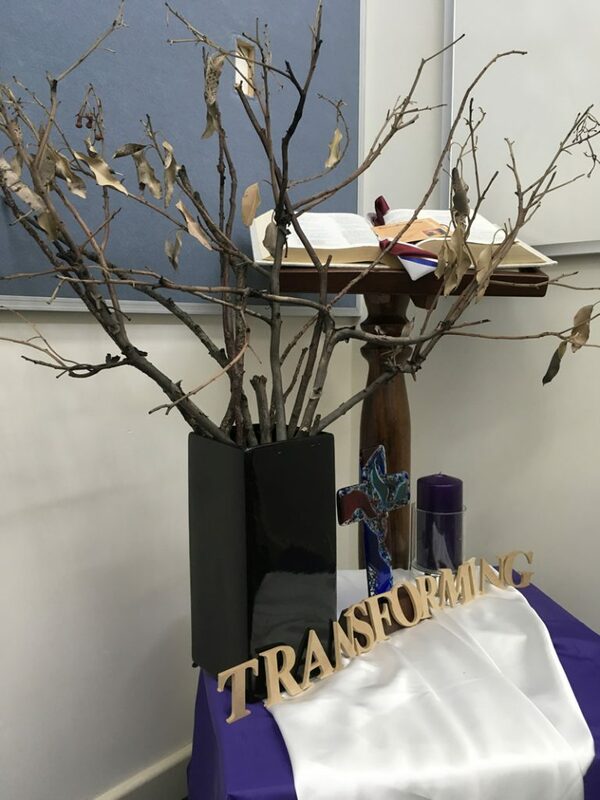 If you have any queries about Confirmation please email the parish Sacramental Coordinator Mrs Faith Rico at sacramental@infantjesusparish.org.au.